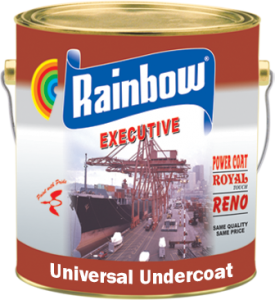 Rainbow Universal Undercoat is a multi purpose undercoat which can safely be used under Nitrocellulose finishing. This undercoat is specially developed for M.S. and Wood. This is also suitable to be used as filling putty on chipboard used for furniture. Use one coat of Rainbow Undercoat for complete surface preparation to seal oil paint putty, followed by one coat of undercoat prior to application of Nitrocellulose paint. After the surface is properly prepared use one coat of Rainbow Universal Undercoat and sand down properly and then apply Nitrocellulose Paint. Colour Range: White & Grey. Covering Capacity: Rainbow Universal Undercoat covers approximately 10-12 sq m/ Ltr/ Coat. Film Tickness: 25-30 micron per coat. Number of Coats: One coat after surface preparation and before Nitrocellulose Finish Paint. Application: It can be applied by brush or spray. 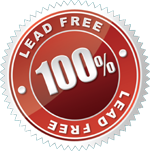 If require use mineral turpentine to thin down to application viscosity. Drying Time: The Surface Drying time is about 2 hours, While it can recoated after a minimum of 6 hours-preferable = O.N. Gloss: Matt & Smooth. Thinner: Mineral Turpentine, NC Thinner. Packing: 0.91 Ltrs, 3.64 Ltrs and it is also available in 20 Ltrs Drum on request.